Although the Holy Roman Empire no longer had a significant role in European politics after the Thirty Years' War, it remained important in Germany, providing a framework for the many German states' and cities' conduct of their public affairs. The Reichstag, which remained in session at Regensburg from 1663 until the empire's dissolution in 1806, provided a forum for the settlement of disputes. On occasion, votes were taken to remove incompetent or tyrannical rulers of member states. The empire's most important service was that it provided a measure of security to Germany's many small states and free cities, without which some would have been swallowed up by larger neighbors. 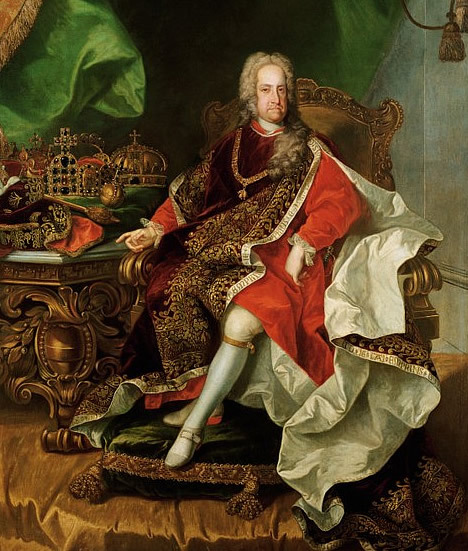 Because of its weakened condition, the empire could no longer dominate Germany, even when headed by ambitious and capable men such as Charles VI (r. 1711-40). During the 1720s, he attempted unsuccessfully to breathe new life into the empire. Later emperors returned to the traditional Habsburg practice of using the imperial throne to benefit their own dynastic holdings. For nearly a century after the Peace of Westphalia, the main danger to German states came from abroad. France was the chief threat, seizing parts of southwestern Germany in the late 1600s, among them the city of Strasbourg in 1681. French troops also fought on German soil during the War of the Spanish Succession (1701-14). In addition to these military actions, France formed alliances with some German states, most significantly with Bavaria, which sought support against neighboring Austria. The Ottoman Empire also posed a threat. In 1683 its forces besieged Vienna. The Germans ultimately were successful against the Ottoman Empire, and after the Treaty of Passarowitz of 1718, the Turks were no longer a danger.